Who says you have to miss out on traveling this Holy Week break? 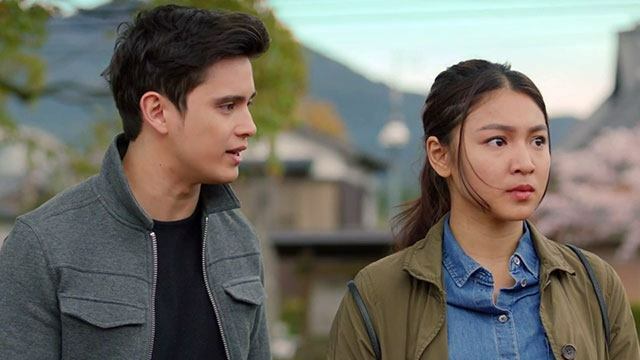 If your time and money won't permit you to fly off for a vacay, here are eight local movies that will serve as your quick escape! Reason for boarding: You’ll be drawn to the power of the iconic La Sagrada Família Basilica. Reason for boarding: The classic tale of boy meets girl is set in one of the dreamiest places in the world. Reason for boarding: You don’t have to book a four-hour flight to Japan to see their famed cherry blossoms! Reason for boarding: You’ll fall in love with the Big Apple’s magnetic energy and bustling vibe. Reason for boarding: Trust us, you’ll want to plan a beach trip with your barkada after watching this film. Also, make sure to munch on some bagnet. Reason for boarding: The OG hugot film will ease the summer heat with the literally ~cool~ nature scenes in Northern Luzon. Reason for boarding: You'll get to go to five provinces in the Philippines in under two hours! Reason for boarding: Go on a super sweet ride across the province's famed sugarcane fields in this romantic comedy!